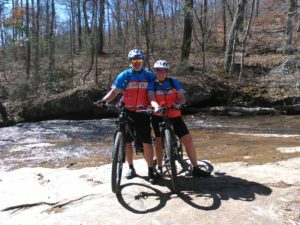 Every month (or so), OMBA puts together a ride where members can carpool together to explore a new trail system. 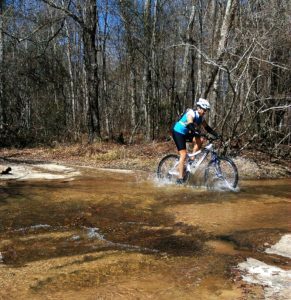 February’s ride took the group to two neighboring trails: Harbins Park, and Fort Yargo. 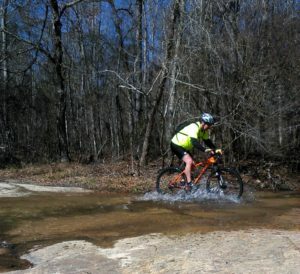 Weather was beautiful for riding, and the group had a fantastic time – although the last few miles at Fort Yargo proved to be rather challenging after riding Harbins. Follow us on Facebook to keep informed about our next outing! 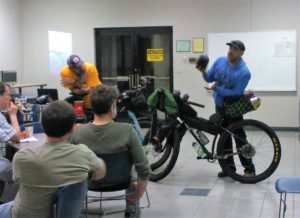 Huge thank you to Ray Egan from Cycling Sasquatch for being our guest speaker at the February Lecture: Bikepacking Basics! 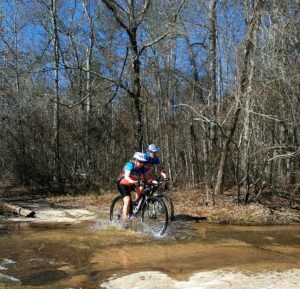 We learned what essential gear to carry, where we can acquire said gear, and some insider tips to deal with cramps, aches, and the dull long stretches of a ride. 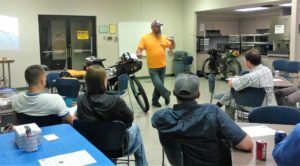 We had a large group turn out for this event and look forward to having you join us for next month’s topic. Follow us on Facebook – or check back on our calendar – to keep informed on our lecture series. 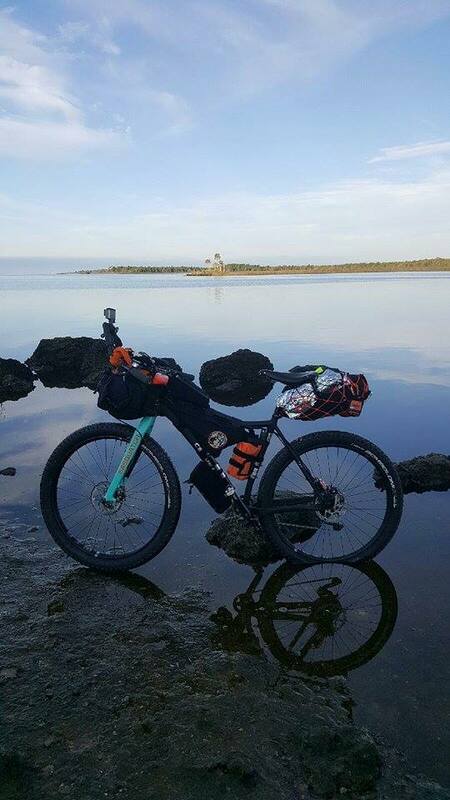 Join us this February as we partner with Cycling Saquatch to learn all about bikepacking. 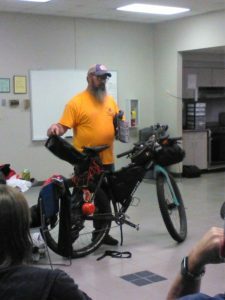 We’ll hear from a seasoned rider as he teaches us how to plan and train for your first trip, what essential gear you’ll need, and what to expect as you hit the road. Light refreshments will also be provided, so come on out for a great time! Check out the Facebook event page here. Hope to see you there!